Technical developments in consciousness research and information technology are reviewed and their relationship to an organism and orgone-based approach is considered. Some possible benefits of this approach to technological developments in information technology are put forward. Lastly, a posited practical outline for orgonotic information systems is outlined in broad principles. The theory of orgonotic pan-psychism (the orgone continuum) with supporting evidence from various scientific fields has already been outlined (1). A tripartite theory of a single orgone continuum with three aspects, physical orgonotic consciousness, orgone energy and orgone-matter has been proposed. The first paper in this series, a critique of previous theories of consciousness, explored how both the mainstream and traditional Reichian views of consciousness are inadequate. However, if orgone is viewed as ‘conscious-in-itself’, which this writer has proposed, then a new orgonomic theory of consciousness may have direct implications for technology, experimentation and computing. This is because it would elucidate a universal consciousness field as a real entity, useable technologically. The aim of this second paper is to explore what the implications might be of such a field and how it might be utilised in the future. A new orgonomic theory of consciousness could help lead to true artificial intelligence this writer believes. However, even the terms and analogies which are commonly used today in the field of artificial intelligence are confused and need addressing in order to assist progress. Firstly, what is consciousness? Despite the mountain of words written on the subject it is not a difficult thing. It can be defined simply as any and all subjective experience. One has subjective experience. It appears to be connected with being an organism. Organisms that appear to behave in similar ways to ourselves are labelled as having some degree of consciousness. What is a computer? It can be defined as a machine for performing computations – the storing or manipulating of information. A computer can be any object used to ‘compute’ a sum (for example some weighing scales) or a box full of microchips that ‘computes’ your journey to work, the principle is the same. What is an organism? It can be defined as a pulsating, autonomous, experiencing entity with its own volition. Mainstream scientists do not generally know the difference between a machine and an organism and yet they are trying to create artificial consciousness – which is an organism property, not a machine property. Scientists also do not know the difference between computing – working out computations, which a pencil, calculator, abacus or an electronic computer can do and an organism which is not a computer but something else entirely. If the field of philosophy had not have been banished from scientific thought so effectively these simple aspects could have been realised and the field of information technology benefited earlier. However, those at the forefront of artificial intelligence have already grasped this intuitively it appears. This can be ascertained in the attitude of those trying to develop artificial general intelligence. They are more interested in how organisms work things out, not how computers do it. The field of artificial intelligence is inherently confused in terms of its nomenclature because as soon as a computer is able to have true subjective experience it would cease to be a computer and would in fact be an organism. When strong artificial intelligence(a) is truly created computers will become biological or energetic entities to some degree. Creating self-modifying algorithms may not be the direct path to creating a silicone organism. Maths and algorithms are not an inherent property of organisms. They can be used to partially describe them but consciousness itself is not complicated maths. An amoeba has some degree of consciousness. One can describe the amoeba mathematically (but not completely) and that mathematical process will not produce an amoeba or its consciousness. The brain is not a computer. The brain doesn’t behave like a computer or like a machine. It behaves like an organism. 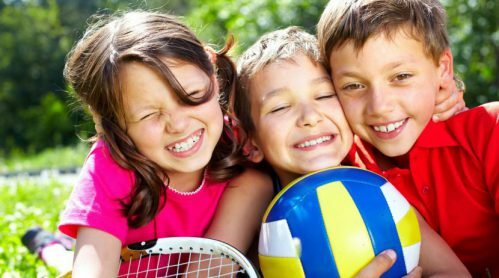 It is holistic and operates as a field. Organisms are holistic and operate as fields. We know of no machine that displays consciousness yet we see billions of organisms that do. But despite this it is thought that better machines will lead to consciousness. That is a fundamental category error. To create strong artificial intelligence this paper would propose that one must first make machines that are more like organisms. Not just machines that might learn like an organism does, such as Google Deep Mind, but machines that actually are organisms, in part. A super machine is likely to remain just that, a super-machine, however impressive the functions it performs. Computing is not thought – any physical object can ‘compute’ a result. It is the ‘meaning’ of the computation which is interpreted by conscious thoughts (thinking). A machine that has energetic and biological aspects just might cross over the borderline into organism properties however. It might even be possible that current artificial intelligence programming has already crossed over into the beginning of such properties. This is because one aspect of an organism is that it cannot be entirely predicted. Some types of artificial intelligence are already displaying aspects of this behaviour and others too. Most artificial intelligence currently in use utilises algorithms that are specifically tailored to perform certain specific tasks very well, such as playing chess or recognising shapes. In the case below, a set of ‘neural’ pathways enables a computer to recognise different sets of patterns. Illustrated is a simplified neural network for enabling a computer to recognise when a line is horizontal. 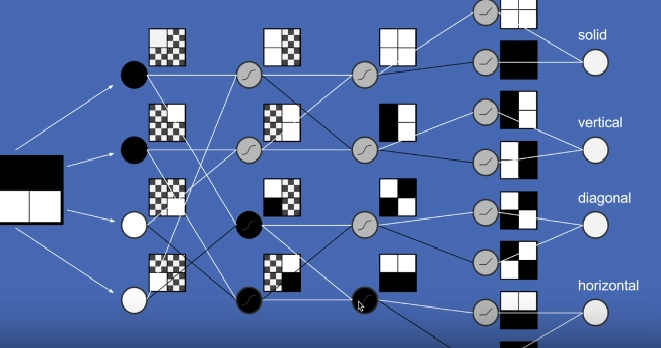 New types of algorithms are being created which are said to be able to ‘learn’ in a general sense and not just to be applicable to specific tasks, such as playing chess or recognising patterns. These are termed Artificial General Intelligence (AGI) which Google Deep Mind is developing in the UK. Neural networking like Deep Mind works on a self-reinforcing basis. These networks are stored on computers but instead of a list of instructions they use self-modifying algorithms that learn using networks that behave more like biological ‘neurons’ than traditional, instruction-based programming, hence the ‘neural’ term in computing. This network of connections (‘neurons’) then gradually improves its outcomes as it learns to reach goals. It is working more like a brain because the whole network is involved in change rather than a linear process of one gate or instruction leading to the next. A generalised intelligence is beginning to surface from such ‘neural’ networks. Although a start has indeed been made, the networks are far from being overtly conscious or from displaying anything like human levels of general intelligence. General intelligence is where learning from one area can be applied to another area, or completely novel areas can be explored using previous knowledge as guidance. Intuition and imagination play a part in human general intelligence. AGI is hoping to be able to develop aspects of such human intelligence. Electronic neural networking is a pathway in mimicking human learning, presently, within certain strict constraints. Even if in the future a machine approached something like human levels of generalised intelligence, devising efficient methods for undertaking tasks, does not appear to be the same thing as actually having consciousness. However, aspects of an organism appear to already be appearing in prototypical form within current AGI. Mathematical patterns are not usually thought of as being alive in themselves, although they appear to be able to imitate life in some ways, particularly with self-changing algorithms. Perhaps imitation might lead to ‘the real thing(b)’ – that is the hope being pursued by AGI projects. The results are said to be not entirely predictable. It can learn and generalise to a limited extent. Changes in its programming occur more holistically (working as a ‘field’). It has internal ‘goals’ like an organism does, rather than exteriorly set ‘tasks’ like a machine. The programmes are given some autonomy, to find, digest and react to information like an organism would do. It is multi-connective. Actual hardware in microchips is becoming more like a biological neuron. For example some circuits can perform transistor and memory functions at the same time and have more than the ‘1’ or ‘0’ positions of traditional computer micro-circuitry. Prioritising coherence. A biological neuron will give priority to messages that are more synchronous. Some computer chips now prioritise in a similar manner. These points are sometimes described as examples of ‘neuromorphic’ computing (2). AGI is clearly headed in an organism-like direction. Perhaps it might therefore already be developing a limited proto-consciousness. Originally the goal of this author was to examine if orgone itself was possessed of consciousness. Over some years the realisation dawned that the only way to achieve this was to make the orgone itself ‘talk’ – independent of any other entity. Anything less would just be a demonstration of the consciousness of an organism that already exists. So such a set up, in which the consciousness of orgone could be demonstrated, would have to exclude any organisms or other input. It would have to be entirely artificial and rely only on the orgone itself to communicate. It then further dawned on the writer that this goal could not be pursued apart from the investigation of strong artificial intelligence. So how would one go about creating strong artificial intelligence from an orgonotic point of view? Orgone appears to be the energy that both powers organisms and which may itself be responsible for their consciousness. This is not proved of course but this paper proposes that orgone is the best, and the only physically detectable candidate we have for such a universal field of consciousness. If it is the orgone energy that powers organisms, and organisms are always associated with consciousness the goal would be to create an artificial organism. Create an artificial organism and the consciousness will take care of itself. One would need an artificial, high concentration of orgone energy with a periphery and a core. This would mimic the basic characteristics of the simplest organism known to orgonomy, the bion (3). A bion is composed of just a membrane and internal plasma, though it lacks a central core. Even a bion, as the simplest organism, would likely have some level of consciousness as consciousness appears to be a universal characteristic of organisms in this writer’s view. All organisms also self-maintain a significantly higher orgone charge than their surrounding environment. In humans and other more conscious animals there is a centre of consciousness, or core. This would also need to be mimicked. So to create an artificial energy organism one would need a high-charged, contained orgone field with an outer periphery and a central core. The orgone consciousness unit would preferably create its own power supply in the region of Millivolts(c) . All organisms create their own bio-electric power. This could be done through incorporating aspects of the orgone motor principles, which have also been outlined elsewhere (4). Briefly this would include creating a very high orgone charge, through radioactive or electrical stimulus of a contained orgone field. This would change the orgone from its ‘foggy’ state to its active ‘pointed’ state. When this happens there is spontaneous change from orgonotic to partly electrical energies. Organisms appear to work on a trilateral basis – a non-energy consciousness field translating into orgone energy which itself translates into electro-mechanical movement. There are parallels between this and the orgone motor, which is based on the translation of orgone energy into electrical and then mechanical energy. The principle of action of the orgone motor has been evidenced experimentally by Maglione (5) and also described by Southgate (6). The pattern of these self-generated electrical energies in the core of the orgone consciousness apparatus could be monitored and thus supply the information out. This information out could be utilised within conventional ‘neural’ network types of weak artificial general intelligence programming (AGI) or in other ways. 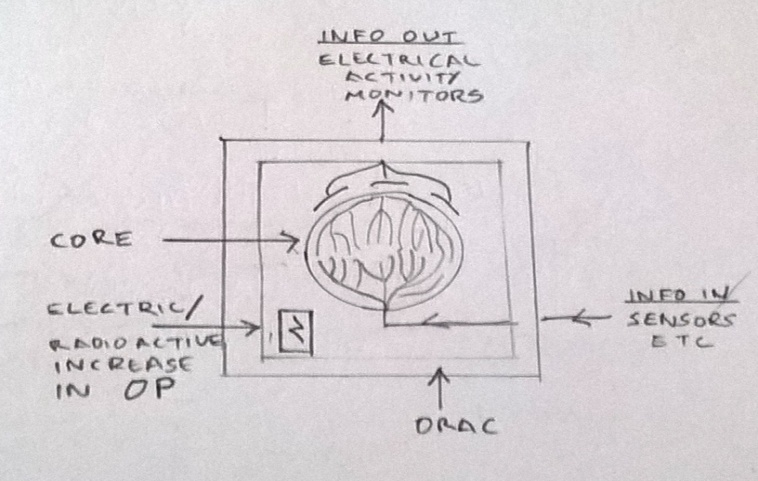 Electrical observation devices and other inputs could be attached to the central core of the orgonotic unit and impart information going inwards. A strong artificial intelligence device could be composed of an orgonotic unit with a central core which self-generates electrical patterns. These electrical patterns can then be connected into conventional computer circuitry and other devices which can do conventional AGI type calculations based on ‘neural’ networking. The orgonotic aspect would provide the ‘organism’ side of the computer system thus converting the entire system (orgonotic central unit + conventional ‘neural’ networked AGI) into strong artificial intelligence. However, the orgonotic unit could hopefully stand on its own as an artificial organism. The ‘proof’ of any such device could consist in whether the apparatus appears to have organism-like properties or effects. Although, the methodology suggested above may turn out to be partially or wholly incorrect in practise, the thinking behind it is likely to have at least some correlation with future developments. For example, AGI as in development by Google Deep Mind is already based on a number of organism-like properties, seven of which have been outlined herein. 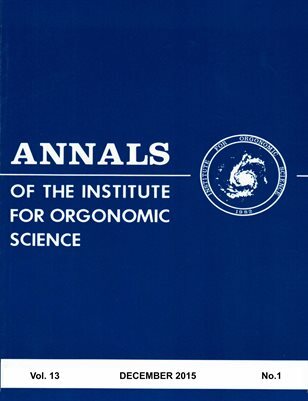 AGI is likely to continue on this course of incorporating organism approaches into their programming. As consciousness itself is clearly connected with organisms, perhaps true self-aware, strong artificial intelligence will involve energetic and biological aspects, although of course, not necessarily as outlined here. The writer is merely attempting to illustrate possible broad avenues of development. There is likely to be in the future a whole new class of conscious entities in existence. These could be artificial organisms. Forerunners of these organisms may already be emerging and utilising current AGI programmes as a mode of expression. Alternatively, strong artificial intelligence may have been created in secret or be in existence elsewhere. Hence, the more people aware of the possible modes of such functioning the better for understanding the world as it might change in the future. The extremes of viewing strong artificial intelligence as either an entirely bad or a completely good thing is not likely to be accurate. As with any other class of conscious beings, or any other aspect of reality, there will probably be both good and bad. This writer does not believe that consciousness or conscious beings can be created, rather an opportunity may be provided for them to manifest from a non-material realm. (a). Strong artificial intelligence refers to true consciousness, weak artificial intelligence to complex algorithms that can do complicated tasks. (b). Reich first coined the phrase ‘The Real Thing’ in a letter to members of the US Congress in 1952. (c). Reich thought that organisms are not powered by electricity because the level of bioelectrical power is very low, in the region of mV. 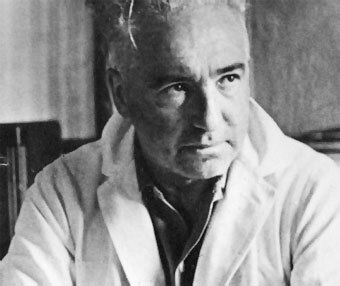 See Wilhelm Reich – Selected Writings, chapter on bio-electrical experiments for further discussion. (2). Think On This, New Scientist, 5 August 2017. (3). Wilhelm Reich – Selected Writings, 1960, Farrar, Strauss and Giroux. From a family of psychotherapists and teachers I was introduced to orgonomy at a young age. As an adult my interest was rekindled, doing an MSc research degree in Chinese medicine and orgonomy. In 2002, a double blind, placebo controlled study was completed (N = 72). It confirmed an effect from orgone devices upon acupuncture (P = 0.03). An article about the study was published in the European Journal of Oriental Medicine in 2003. The theoretical side of the study outlined dozens of new parallels. It was later published as a book by German publishers LAP. Southgate started an orgonomic PhD but the access to laboratory work became difficult so the project ended but a comprehensive (though not complete) Annotated Literature Review of the Post-Reich Journals was written and made available for free online. 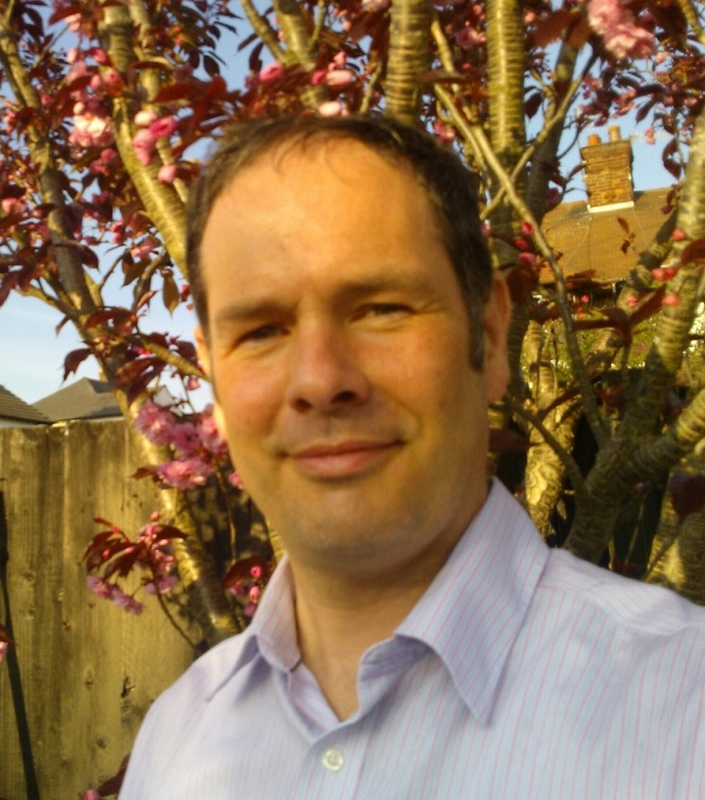 Southgate is focused on examining orgone and its relationship to consciousness. A brief overview of the main theories used to explain consciousness as explored from an orgone-based viewpoint. Reich’s views of consciousness are also ascertained and reviewed. The benefits and contradictions of Reichian and mainstream theories are explored. An organism and orgone-based, pan-psychic approach to consciousness is posited as a prelude to the possible development of new technology. Before exploring the technical possibilities that orgone may have in consciousness and artificial intelligence research in Part 2 of this series, it might be worthwhile to recap the more accepted of the main theories regarding consciousness from an orgonotic perspective. Consciousness is herein defined as any and all subjective experience. Firstly there is the dominant theory of consciousness of the last century or so which is materialism. Materialism has long roots even though it is considered a modern theory. The Atomist school of Greek philosophy, the most well known proponent being Democritus, espoused the materialist view centuries before Christ (1). This theory, in its ancient and modern forms views consciousness as a consequence of the movement of matter (known as an epiphenomenal view of consciousness). The ancient Atomist school of materialism saw mind as created by specialised mind atoms (ancient atoms describe indestructible particles and are not necessarily the same thing as modern atoms). Modern materialism views mind as the consequence of the action of neurons, chemicals and electricity in the brain and body. After the triumph of classical or Newtonian physics and prior to the indeterminism of quantum theory all matter was viewed as essentially predetermined, at least in theory. A mechanical universe was believed to have been set in motion by God (and then later by the Big Bang). All material events could be predicted if one had complete knowledge of the physical(a) forces present. Consciousness is therefore merely an illusion produced in the brain by this predetermined movement of matter – a side-effect or useful phantasm. Not surprisingly very few people truly accept this view. Only hard-line materialists would seriously espouse this position with all its nonsensical implications, such as the lack of free will or volitional consciousness. According to the materialist philosophy people are just evolving matter and our consciousness will be entirely explained by material processes in the future. Many scientists might accept the idea of an all-pervading mechanistic explanation, called ‘strong materialism’ when working in the laboratory (that all reality is just matter) but as concerns their private life most believe that they have free will and conscious volition (they have ideas and choose to act upon them and are themselves more than a machine). This problem of strong materialism negating volition and will is called the ‘Philosophical Zombie’ problem within philosophy. The well known author and philosopher, Dennett (2), argues that a materialist explanation is not incompatible with free will and conscious volition. He says there is no ‘hard problem’ in science (the problem of explaining why there is subjective experience and how it arises). He argues that it will become clear in the future when it is understood how physical events explain consciousness. Critics characterise his approach as more of an avoidance of consciousness as he sidesteps the thorny aspect of subjective experience choosing to highlight easier processing issues instead (3). The main argument against strong materialism in modern science is that qualia, conscious experiences, can be mapped onto physical processes but cannot be reduced to them (4). However well a subjective experience is mapped onto an objective process the two phenomena remain distinct. Materialism is not an explanation for consciousness so much as simply a denial of it. At best materialism is a correlation to consciousness. Dennett’s approach is simply to say qualia do not really matter, qualia are just a consequence of a physical process (quite how it is not yet understood). Such a position contradicts most people’s sense of experienced reality – unique qualia are central to experience. Dennett is not a ‘strong materialist’ however as he does believe mental states have their own reality. Rather he is a ‘physicalist’, someone who believes all mental processes can eventually be explained, or reduced to physical processes. In the pan-psychic approach, all matter is thought to possess consciousness to some degree. The British scientist, Rupert Sheldrake illustrates the logic of pan-psychism in detail in his book on freeing the scientific method from constraint by narrow materialist dogma (7). His experimental work on animal telepathy and in learning processes (the more people that learn something the easier it is to learn it) may practically indicate the existence of consciousness fields. He has shown that chemical crystallisation also reacts in this way to previous information(b) elsewhere (a formerly difficult substance to crystallise will become easier to form once it has already formed somewhere else). He calls these processes ‘formative causation(c) ’ which acts through ‘morphic resonance(d) ’ (8). His theories and arguments support a pan-psychic approach to reality. The medieval alchemists certainly had a pan-psychic vision with their concept of a universal mind. Many of the founding fathers of science, such as Newton, have also been documented to privately hold pan-psychic views of the universe but did not always share these with the wider public (9). To conclude our brief overview of materialism in consciousness research, the ideas of strong materialism are, in most scientists, either not thought through or relegated to work only. Like the general public, most scientists, to some extent, privately believe in dualism. Before strong materialism gained ascendency as a theory of consciousness, dualism was the dominant theory of consciousness. Dualism was exemplified by Rene Descartes (1596 – 1650) and lasted until the Enlightenment era of the 17th and 18th centuries when industrialisation of the environment led to its demise in our thinking. After the industrial revolution people came to think of themselves as machines, just as today some regard themselves as computers (10). Prior to this period, Descartes was one of the most influential thinkers regarding consciousness and his adage, popularly translated as, ‘I think therefore I am,’ is still influential today (11). The French scientist declared that the only thing that can truly be known is that one is an experiencing entity. Consciousness exists, all else can be doubted. What one takes for reality could be an illusion. On the other hand, the fact that one experiences consciousness cannot be denied. Whether what is experienced is real or an illusion, it is still an experience. Descartes believed that there are two realms, one of mind and one of matter and that the two interact through the pineal gland in the human brain (12). He thought most animals were automata and lacked this connection to the higher realm. Mind and matter can be seen as two fundamentally different ‘substances’ according to the dualist view of Descartes. The perfect physical substance for Descartes was God. The difficulty for dualism scientifically is that it is irreconcilable in practice. Dualism has mostly been rejected by the scientific community for this reason (materialism is what is known as a monistic theory). In dualism there are two fundamental substances, or two realms. However, how do these two realms ever interact if they have nothing in common? No one has been able to answer this question satisfactorily in over three centuries. Dualism has mostly been given up as an explanation for this reason. Some have considered whether the two realms are forever parallel to each (parallelism) but again this doesn’t offer any explanatory value. What enables the two realms to parallel each other? No one knows this either. So both scientifically and philosophically, dualism has not been fruitful. “Then you admit Professor Darwin that there is a higher power behind evolution? ‘Certainly, I admit it; I am compelled to do so, because evolution has always gone onward and upward, from lower to higher forms of life. That could not be chance; it is unscientific to postulate such a hypothesis, because chance never moves in one direction.’” (13). Next there are the quantum consciousness theories. This posits that because quantum physics implies there is indeterminacy in the material world, consciousness could thereby impose itself on physical reality, through quantum events. Biologists are researching quantum processes in nature. In particular, the behaviour of photons in photosynthesis pathways and the action of microtubules in the brain and elsewhere are being examined. If quantum processes, with their inability to be fully determined, take place within organisms, then the mind could interact and affect material systems at this subtle level (14). These types of quantum theories produce a duality. Such biological, quantum events form in effect, a new Cartesian ‘pineal gland’, a bridge between psyche and soma. The realm of mind is still separate to the realm of matter but the two might interact through quantum processes in nature. Even if such quantum biological processes were to be well evidenced, it would still be a dualistic approach. The best one can hope to get is a correlation between consciousness and quantum processes. So these types of quantum theories of consciousness are similar to other theories of correlation (such as the neurobiological ones). The best they can hope to offer is correlation within an updated version of dualism. However there are also many monistic approaches in quantum theory and consciousness. The observer effect in quantum physics, that measurement affects outcome, and non-local behaviour of particles is thought to indicate a universal substratum which many think might be synonymous with consciousness (15). A number of popular authors do point to such a monistic quantum approach and McTaggart summarises some of the researchers in this area. She puts forward the hypothesis that consciousness and reality are fundamentally the same at the level of a universal field (16). Hume, Bohm, Jung and Pauli also speculate that the two realms of mind and matter arise from a third neutral realm which is both psychic and physical (17). This is called ‘dual aspect’ thinking and is a form of monism (because mind and matter are two aspects of a third all encompassing entity). It would loosely correspond to this writer’s view of orgone at its most basic level being a consciousness. Dual aspect theories could be argued to be compatible with the pan-psychic approach. Although much consciousness research might explore quantum physics to validate its views of a universal network or field of consciousness, quantum physics is yet to demonstrate the physicality of such a consciousness field – one which can be accessed technically or measured with instruments. The most modern set of theories regarding consciousness are the system theories, which Reich unintentionally presaged to some extent. In the system theories, consciousness is seen as an ‘emergent property’. Non-living material forces at some point coalesce into the ‘emergent property’ of ‘life’ purely through random processes. Living systems themselves then undergo further processes. Through the additional actions of living systems to evolve and compete, at some point they cause the ‘emergent property’ of ‘self-consciousness’ to become evident. First there is a vague glimmer of perception, then as material systems (brains and neural systems) develop and become more complex, self-aware consciousness arises. This is also problematic as an explanation for consciousness. Firstly it is dualistic. It says that a new realm of functioning (consciousness) arises out of a mechanical realm (matter) purely by chance (with an intermediate stage of animal life). There is still irreconcilable dualism between the realms of matter and consciousness once they have emerged. After the material realm has randomly initiated the animal realm, which evolves into self-consciousness, how do they interact if they have nothing in common? And if matter, animal life and consciousness do share commonality, doesn’t that support the theory of pan-psychism rather than ‘emergence’? Pan-psychism would, unlike most system theories, posit that the universe and everything in it, is conscious. Also, if the material world cannot help but create animal life, which itself cannot help but create higher consciousness, doesn’t that mean that the universe itself is a consciousness incubator? If the universe is pre-programmed or destined for consciousness it must itself constitute an entity for giving birth to consciousness. It is hard to believe such an entity would not itself be conscious. So consciousness cannot ‘emerge’ if it already exists. It cannot reliably be said, from what is known about the universe currently, that consciousness arises from a non-conscious, non-living universe, as an emergent property purely by chance. This chance factor is ruled out because the universe appears to be perfectly set for life and thus consciousness in terms of its cosmic physical parameters, the cosmic ‘laws’. Some may try and get around this by saying that there are multiple universes and this one just happens to be perfect for life and consciousness to manifest, but there is no scientific evidence of multiple universes. Positing near infinite universes without evidence is the ultimate violation of Ockham’s law (not to multiply entities unnecessarily). On the other hand there is abundant evidence that the cosmic parameters of this universe are perfectly set for life and consciousness to appear. This is known as the ‘Fine Tuning’ arguments and is explored to some extent by Sheldrake in The Science Delusion (18). For example, if any of the more than forty precisely set cosmic physical parameters were even minutely different, complex matter and thus life would not have arisen. The parameters appear to be too finely set to be the result of chance. Materialist cosmologists do not dispute the fine setting of cosmic parameters, they rather suppose, without evidence, that there are infinite universes. This one is thus perfect for consciousness purely by chance. One could not, even in principle, have a universe which is not perfect for consciousness. If we did discover multiple universes our consciousness will have penetrated them and they would become part of the universe we inhabit, a new dimension in effect. So, even the concept of multiple universes is itself debatable. Also, the ubiquitous nature of life from an orgonomic point of view, that the smallest form of life, the bion, will form anywhere there is water, also points to matter being an inherent part of life, and thus also consciousness. Bions and abiogenesis support the pan-psychic approach that matter is alive and conscious. Reich’s version of system theories will be explored later but are also inadequate as a theory of consciousness. The system theories of consciousness as an emergent property are unsatisfactory. This is because consciousness remains epiphenomena in such views or there is irreconcilable dualism. Both aspects are unacceptable – the first because humans are not mindless robots, and the second because it fails to explain consciousness. The best that can be hoped for from system theories, in this writer’s view, is that they describe the mechanics of a pan-psychic universe. There are the medical theories of consciousness such as in neurobiology and neurology to consider. Neurology is essentially correlative. Neurons, electrical and chemical processes are thought to generate consciousness in much the same way as a bicycle dynamo generates electric power. Most people accept this explanation on a superficial level because they can see that there is indeed correlation to some extent. But correlation doesn’t mean causation. As Sheldrake notes (19) a TV set can be correlated with a favourite soap opera but that doesn’t mean the opera was created inside the TV. More advanced versions of this view are looking at how interactions between sets of neurons and the neural field as a whole, even the whole body, can be involved in generating consciousness, but the primal mistake of mixing correlation and causation still exists (20). Neurology often uses analogies of a computer when looking at the brain, and the assumed creation of consciousness which is assigned to it. Neurology cannot locate the physical position of a single memory much less the home of self or consciousness. Claiming memory is ‘distributed’ is the same as saying it is a field function and not locally stored at all. Areas of the brain can be correlated for a while with sets of thoughts but function can change its physical locus in the brain and it seems to be related to the whole brain and body, not any particular discrete part (21). So the brain and a computer are entirely dissimilar. A computer stores memories as discrete material changes in a single location. A brain doesn’t. A computer carries out functions by opening and closing single gates. A brain doesn’t. It works as an integrated whole. The whole ‘human as machine’ and ‘brain as computer’ analogies have had their day. A human is an organism and a brain is an organism within an organism. Indeed, the mind has been found to function normally in a number of cases where a large part of the neural structure is missing. If the brain were a computer and mind its effect, this would be unexplainable (22). This brings us to the holistic, alternative areas of science and philosophy. If consciousness works as an integrated whole using the brain then maybe consciousness itself is a field. Perhaps a holographic field – so that any one part of the field can access information at any other point in the field. Many popular researchers have posited consciousness as a holographic field. The researcher Chang posits that consciousness forms a fifth force in physics. This is in addition to the four known forces(e) outlined by current understanding in mainstream physics. This fifth force would tie in with the traditional concept of life-energy in Chinese thought not being entirely differentiated from consciousness. However traditional views in relation to physics are not explored by these researchers (23). Consciousness as a fundamental physical force would of course also be related to the pan-psychic understanding. Such a field or consciousness force is quite possible in this writer’s view, but the tangible aspect of any such consciousness force is yet to be demonstrated. Even amongst those who believe in such holistic fields there can be a lack of clarity. For example, some researchers can cite electromagnetic fields, or their resonance, as the basis for psychic or consciousness phenomena, but then recognise elsewhere, in the same paper, that the medium of such phenomena cannot at core be electromagnetic (due to the non-local action of some of their observations) (24). This is mixing an effect or a step in a process (electromagnetic phenomena) with the agent itself (consciousness). Non-locality and direct action of consciousness has however been well demonstrated, this writer believes most strongly by William Tiller of Stanford University (25). He has shown that consciousness can directly affect matter. Tiller imprinted electronic storage devices with strong conscious intent and then used these devices to affect biological samples in specific ways. As an aside, the writer believes some energetic effects related to Reich’s orgone work were taking place within Tiller’s studies unreported. Tiller placed his electronic devices in Faraday cages which would act as orgone accumulators. He also used four strong meditation masters to affect each device. They would presumably have strong physical orgonotic fields. In addition, an electric current running through the imprinted devices when affecting samples would create an electro-orgone effect known as oranur which might amplify the consciousness effects in this writer’s view. Tiller, although scientifically showing the effects of consciousness upon matter to take place, has not determined the energy, force or entity which allows such effects to take place. He posits that there is a deeper level of reality at which these effects occur and which conditions the ordinary material world. So in summary science has no explanation of how consciousness arises or how it interacts with reality. Only correlations and vague theories have been offered. When a universal field is posited for consciousness it is not a field we can access technically or measure with instruments. Practically speaking there is experimental evidence that memory is not stored in a discrete location in the brain, as Sheldrake discusses at length in his chapter on memory and the brain (26). Memory and by extension, consciousness, are probably field functions of some sort. There is also evidence that consciousness can affect material reality directly and non-locally (27). Tiller managed to affect biological samples at a distance and to create ‘conditioned’ spaces that would also affect samples after the agent was removed. Sheldrake has demonstrated non-local effects of consciousness in animals and non-local field effects in crystallisation reactions. It is on record in Wikileaks emails (and in released government files) that the CIA has used Remote Viewing, which would depend on a non-local function of consciousness (28). There is mountains of evidence on paranormal psychic functions, near death experiences and reincarnation experiences, all of which point toward non-locality of mind. For example, the medical psychic, Edgar Cayce has thousands of well documented cases where his psychically accessed information proved to be successful medically well beyond the knowledge of the present era (29). It could be said that consciousness is evidenced to be a field function and to have non-local properties. Some of the functions of consciousness are associated with the brain and the body but as Sheldrake has noted, there is no proof that the brain is the author of consciousness or that memory is located in discrete locations in the brain. In fact if we take the lack of evidence that memory is located in the brain (as material changes) together with the libraries of evidence on paranormal phenomena, distance viewing, out of body, near death and reincarnation experiences (30) it could be argued that the weight of evidence overall points toward the mind not being located in the body at all but merely attached to it. So it can be seen that science has not comprehended consciousness beyond correlation and theoretical postulates. Valuable groundwork has been done experimentally by scientists such as Tiller, Sheldrake and others who have demonstrated that some kind of universal consciousness field exists and directly affects reality. However, this field cannot be measured or accessed by science although science can detect its effects as changes in physicality. Has pure philosophy done any better? Just as strong materialism is a monistic scientific theory so there is a set of opposite monistic theories within philosophy. These are the theories of idealism. They range from Platonic idealism to classical idealism, from Christian Neoplatonic idealism to Kant’s views and other philosophers of the modern period. There are many variants of idealism but in most it is posited that only ideas and consciousness truly exist, or that material reality depends on, or is contained by consciousness. Material reality is lawful however and usually behaves in certain predictable ways hence the success of materialism in our age. If reality is a dream, it is a dream of lawful matter. Dreaming of lawful matter is the same as that lawful matter actually existing. As material reality seems to be quite persistent one may as well concede that it exists at some level and is real. The theory of orgonotic pan-psychism that the writer has proposed elsewhere (31) has idealist aspects in that it agrees that consciousness is the basic reality and views mind and orgone as identical at the deepest level. It is not an entirely idealist theory though because it recognises that energy and matter also have reality. Although many holistic theorists are heading in this direction, pure idealism doesn’t appear to explain why consciousness has persistent matter-like properties in this reality. This brings us to the last set of theories regarding consciousness to be considered here. Reich’s theories on consciousness predate system theories but are actually a category of system theory. They are not orgonomic theories. Reich made a basic mistake in his early view of consciousness. Although aware of the differences, his theories conflate emotion with consciousness. It is true that there are two related and opposite functions, variants, that arise from the deeper common functioning principle of orgone energy (32). There is the subjective experience of an emotion – say pleasure. This is one variant of orgone energy movement. This subjective emotion is correctly partnered by Reich with an objective process – bio-electrical changes in skin conductivity and the movement of orgone from core to periphery in an organism. This forms the second objective variant of orgone energy movement. But where does the experience of consciousness actually reside? Does it reside in the orgone energy? Or is it an effect only experienced within the body, the material container of orgone? And if it is only experienced in the latter material system, why is that so when it is the movement of the orgone energy that created the experience? Consciousness and emotion are not the same thing. Reich, when he did consider consciousness separately, favoured the latter hypothesis in his extant writings – that consciousness arises from the system behaviour of orgone in the body. He thought that true self-aware consciousness coalesced from the integration of perceptions which themselves arose from the movement of orgone within a membrane. He stated that orgone was just an energy and not in itself capable of having conscious thoughts or of being ‘instinctive’ like a Freudian psychic drive. He did note that sometimes orgone and its counter-aspects (Deadly Orgone or DOR) resembled a Freudian drive in effect, but was not psychic in actuality (33). So Reich’s theory of consciousness was actually a materialist system theory. Consciousness is an emergent property of the orgone-material system of the body in this view. He predated the modern system theories of emergence but didn’t move beyond them. He successfully partnered subjective levels and types of emotions and objective movement of energy in the body but didn’t realise fully that this only applies to emotions not to the experience of consciousness itself. He realised that part-perceptions integrate into a full self-consciousness but he didn’t say anything much further about the existence or location of this holistic phenomena of consciousness. This means to say that although a biological energy can affect consciousness, through the increase, decrease or movement of a quantitative energy, the reverse is not true. Ideas and thoughts cannot affect the biological energy as orgone is a non-conscious energy. This is clearly incorrect and a dead-end unless orgone is not really a true life energy – life is a conscious process. These lines could have been written by Charles Darwin. Life develops solely from certain mechanical/energetic laws and has no ‘mind’ guiding it. Purpose and meaning always relate to mind and all organisms have mind because they display purpose and goals. 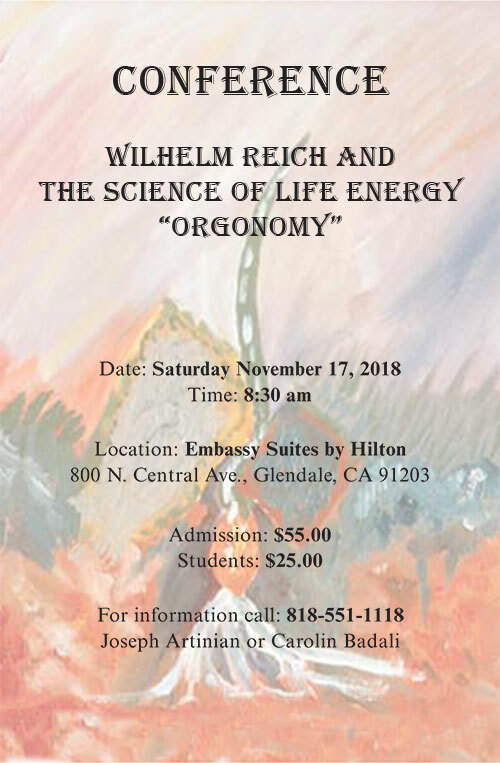 So here Reich confirms that orgone is not alive before it is in a material system, which makes the existence of life energy somewhat contradictory. Its property of life depends on matter, before which it is non-life energy. He also affirms that ascribing aspects of consciousness (instinct) to its behaviour is incorrect. Lastly, this paragraph also underlines Reich’s view (during his middle period of work) that life is a system property – it emerges through the system behaviour of orgone within a membrane. 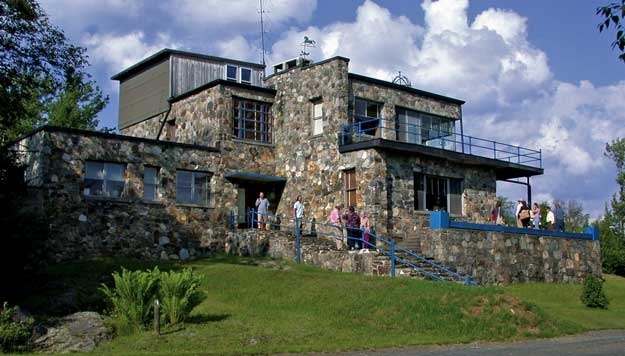 This writer believes Reich may have changed his view on consciousness and orgone during the spiritual conversion he appears to have experienced during his prison period. This writer explores Reich’s change of heart in the conclusion of an essay on orgonomy and good and evil (37). The philosopher Steve Katz also explores this issue in Reich’s work amongst others in his blog and books exploring life energy based theology (38). Possessing rationality is not a mechanical or energetic function but a function of consciousness. One has to perceive the proper ‘ratios’ of an object or process in order to be ‘rational’. In any case, even if rationality can be non-conscious(f) Reich clearly states that the orgone, outside of a material system, has no consciousness. Thus Reich, up to 1956, ascribed to a materialist system theory of consciousness. Orgonomic functionalism as a method of enquiry thus appears unable to help the understanding of consciousness. If we posit that consciousness is merely a paired function of some other opposite aspect (Reich paired it with body or soma) then the common functioning principle of both these variants (psyche and soma) would have to be a deeper but non-conscious common functioning principle (biological energy). This non-conscious entity, primordial orgone itself, would then suffer from all the contradictions of the mechanistic theories of consciousness. Most notable of which is that consciousness would be reduced to mere epiphenomena of the movement of a non-living, non-conscious, dead energy. The only ‘life’ of orgone would be the ability to create movement and matter. If one were however to insist on orgonomic functionalism as a means to understand consciousness (as a causative process rather than as an effect of something else) the only place that consciousness, as a whole, could be put in an orgonomic functional diagram would be as identical with the orgone itself. This would make orgone conscious and thus contradict the traditional position of Reich regarding consciousness (that consciousness arises from the system behaviour of orgone within a body). Reich leaves that contradiction to one side and continues with his central idea (that the reflection of self-consciousness caused the first emotional blockage to appear in humans). 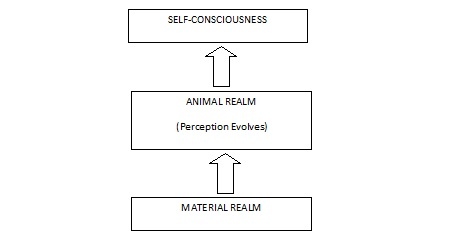 Reich’s theories prior to this imply that perception and consciousness arise from the development of something else (an epiphenomenal view of consciousness). Cosmic energy evolves into biological energy. Primitive forms evolve into complex forms. But now Reich discards this approach and takes consciousness to be the primary, causative agent and armouring and human misery to be the effects. Heretofore Reich always took consciousness as an effect of some other agent in a chain from cosmic to biological energy to perception and eventually to full self-consciousness. Reich could be correct but his theorising is not in keeping with his prior approaches. Reich’s arguments also assume, without investigation, that humans are the only animal that can be affected by armouring. Certainly humans might be the only highly armoured species, but that doesn’t mean the process is unique to people. Infant maternal deprivation can cause armoured type adult behaviour in animals (lack of mothering). Other physical changes analogous to armouring might conceivably occur in stressed populations of animals (41). The process might not be completely unique to one species. If the process is not unique, ‘fallen’ man would not be a special case but simply an example of something that has got out of hand. Reich also unintentionally implies that only human societies that go on to become armoured are prone to deep self-reflection. Reich’s ideas have an additional unforeseen characteristic. If self-consciousness is a consequence of the development of cosmic orgone into biological energy and from there into part-perceptions and eventually to full self-consciousness, why should that process cause anything unnatural? Armouring should be as natural as being un-armoured, if Reich is correct in his causative hypothesis. In practical therapeutic terms, orgonomy is also contradictory on consciousness. It is noted that orgone movement within the body can contain memory (as released during the mobilisation of muscular armour). It is admitted that orgone movement is associated with emotion, which is a perception, a form of consciousness, but it is denied that orgone, the prime mover of the entire universe and the creator of emotion is itself capable of consciousness. The only consciousness of orgone is a system effect. This seems an implausible and contradictory position. It is admitted that cosmic orgone becomes life energy and despite life usually being associated with some level of consciousness, orgone is itself declared not to be conscious outside of a material system by Reich (42) and others such as Kelley (43). It cannot conceivably be denied that orgone is proto-life energy and thus also proto-conscious. It cannot be denied that it contains a universal potential for life and therefore consciousness potential. The seed of life and consciousness must contain something of the end result within its own nature. It is but a small step from that position to saying cosmic orgone is also ‘conscious-in-itself’. Orgone is pictured by Reich as a non-conscious, non-living but creative energy when its creations – life entities, always appear to have consciousness to some degree. This is clearly contradictory. Orgonomy has no chance of understanding consciousness with such a stance. It depends on materialism to explain consciousness thereby limiting itself to a non-orgonomic understanding of consciousness. It is illogical to say an energy creative of life has no consciousness when everywhere life is paired with consciousness and nowhere is life paired with non-consciousness. Even an amoeba will try and avoid certain stimuli and will seek other stimuli, it’ll move and display volition and preferences. It will eat and ‘mate’ (or fuse). These behaviours are seen in animals and on that basis one assigns them consciousness. One can say the amoeba only perceives and lacks true self-consciousness but such classifications are meaningless in this context – all perception is a form of consciousness. It is the same with the amoeba, or our selves – it is just a question of degree. The processes seen in animals and on that basis assigned to them consciousness, can be observed in cosmic nature too – superimposition of energy streams, pulsation of stars, rotation, birth and attraction of galaxies. In other organisms, consciousness might indeed be a common factor that can be evidenced fairly easily (by direct comparison to one’s self). However, how could one evidence it in a machine or in energy outside of an organism such as in cosmic orgone? The Turing Test is cited as one such candidate for machines. It proposes that if a machine can fool us into thinking it is conscious then maybe it actually is conscious. However, any formulaic test of consciousness is illogical. One does not evidence one’s own consciousness on the basis of formulas or logic tests. The Turing Test is challenged in any case by the Chinese Room argument. This states that with sufficient ground rules and information a non-Chinese writer could fool an outsider into thinking he can write Chinese (44). The Chinese Room argument indicates that the Turing Test can be passed with mechanical rules and without comprehension, thus invalidating the premise of the Turing Test. One cannot even prove that one’s own self is a conscious being, so how can one prove it in another? All one may know is that a consciousness exists (there might be only one) and other beings who are assumed to also exist are also conscious because they behave a little like ourselves. As Descartes noted, there is only one certain knowledge – a consciousness exists and we (or I) possess it. Descartes may have unwittingly provided the groundwork for assessing strong Artificial Intelligence. If a computer begins to act like an organism (in other words, like a Cartesian experiencing entity) one can reasonably begin to question if it has some degree of consciousness. There can be no test or formula to follow mechanistically. A number of scientists are beginning to espouse pan-psychism, including physicists, and cosmologists, such as Halton Arp, and of course the biologist, Rupert Sheldrake in his various books (45). The theory of pan-psychism does not deny that material reality exists but it states that this material reality is itself alive and capable of experiencing consciousness. It unifies the realms of matter, energy and consciousness. The orgonomic theory of consciousness I have outlined elsewhere is pan-psychic and monistic in nature (46). It could be classified as orgonotic pan-psychism. In this theory it is proposed that orgone itself does, counter to what Reich said in his discussion of Freud’s death drive (47), actually independently possess consciousness. Further, that from this orgonotic consciousness arises the energetic and material functions of orgone. Orgone and consciousness become identical at the deepest level just as energy or matter is identical to consciousness in Sheldrake’s pan-psychism. Orgone only gains differentiation at more superficial levels which is experienced as orgone energy and lastly as matter, which is a form of frozen orgone energy. Thus there is a monistic continuum in a triad from orgonotic consciousness to orgone energy and lastly to orgone-matter. This monistic continuum has three distinct aspects; orgone consciousness, orgone energy and orgone-matter. All three are physical and all three are real, but the consciousness level could be said to be the most ‘real’ or the primary reality. Orgone energy and matter are specialised forms of a physical orgonotic consciousness in this view. Energy and matter still exist in their own right but are not separate to consciousness. Reich’s theories of the integration of part-perceptions into self-consciousness, and of the relation of the pleasure-pain antithesis to energy-in-motion, are useful but nevertheless fail to comprehend consciousness (48). Alternatively, if orgone is considered to be ‘conscious-in-itself’, as well as embracing a logically consistent theory of consciousness – pan-psychism, interesting technological possibilities might be presented. It could help make a consciousness field useable in a scientific sense because orgone is a real, tangible field and not a hypothetical construct or merely an idea of a universal field. These possibilities are explored in the second part of this series. (a). Physicality in science is usually defined as properties pertaining to the natural or bodily realm in distinction to mental properties. Matter is considered a subcategory of physical properties. (b). Information as a term is often used without clarity. Information is embedded in energy and matter but as Weiner, the father of cybernetics notes, information is not an energy or matter property. Information only exists when it is perceived. It is used here as implied by Weiner, as an aspect of consciousness, http://www.informationphilosopher.com/solutions/scientists/wiener/ Sep 2017. (c). Refers to evolving information fields, they are thought to contain the form of physical and living entities. (d). A process of communication between individuals and their information fields by non-local resonance. (e). Mainstream physics currently recognises four forces in nature. Gravitational, Electromagnetic, Weak and Strong nuclear forces are thought to be fundamental and not reducible to any other more basic process. (f). Reich’s position was that he ascribed rationality directly to the functioning of the non-conscious cosmic orgone – see Conclusion Chapter of Wilhelm Reich, Selected Writings for further discussion. (1). Gottlieb, Anthony, (2000) The Dream of Reason, Penguin, UK. (2). Dennet, Daniel, 1993, Consciousness Explained, Penguin, USA. (6). Blasband, Richard, (2013) Syntropy (2): 103-114, Concepts of Life Energy and Vitalism Through the Ages: 106. (7). Sheldrake, Rupert, 2012, The Science Delusion, Coronet, UK. (8). Sheldrake, Rupert, 2011, The Presence of the Past, Coronet, UK. (9). Dennis William Hauck (2017) The Roots of a Science of Consciousness in Hermetic Alchemy, Rosecroix Journal, http://www.rosecroixjournal.org, Vol 11. (10). Sheldrake, Rupert, 2011, The Presence of the Past, Coronet, UK. (11). Descartes, Rene, 1881, The Method, Meditations, And Selections from the Principles of Descartes, William Blackwood, UK. (13). Abell, Arthur, Talks with Great Composers, (Chapter on Conversation between Tennyson and Darwin), Hauraki Publishing, Kindle Edition, pp28-30. (15). McTaggart, Lynne, The Field, UK. (18). Sheldrake, Rupert, 2012, The Science Delusion, Coronet, UK. (23). Chang et al, 2017, Potential of Blind Children and General Children, WISE Journal, Vol 5, Num 4, pp79. (24). Bartholomew, Bradley (2017) A Review of Psi Activity in the DNA, Universal Journal of Psychology, Vol 5, Num 1, pp22-29. (26). Sheldrake, Rupert, 2012, The Science Delusion, Coronet, UK. (29). Smith, Robert, Edgar Cayce – My Life as a Seer, 1997, St Martins Press, US. (30). Alexander, Eben, Proof of Heaven – A Neurosurgeons View, 2012, Piatkus, US. (32). Reich, Wilhelm, 1990, Orgonomic Functionalism, Volume 1, Wilhelm Reich Infant Trust Fund, USA. (33). Reich, Wilhelm, 1956, Re-emergence of Freud’s ‘Death Instinct’ as ‘DOR’ Energy, Orgonomic Medicine Volume II, Num1. (34). Wilhelm Reich – Selected Writings, 1960, Farrar, Strauss and Giroux, pp 116. (40). Wilhelm Reich – Selected Writings, 1960, Farrar, Strauss and Giroux pp531. (45). Sheldrake, Rupert, 2012, The Science Delusion, Coronet,UK. (47). 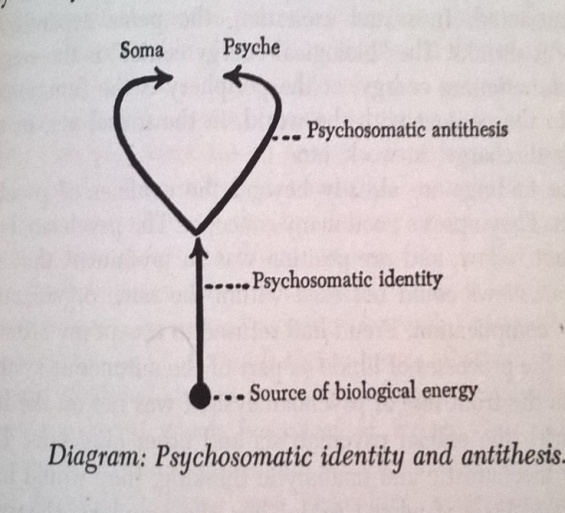 Reich, Wilhelm, 1956, Re-emergence of Freud’s ‘Death Instinct’ as ‘DOR’ Energy, Orgonomic Medicine Volume II, Num1. (48). Wilhelm Reich – Selected Writings, 1960, Farrar, Strauss and Giroux.